I don’t remember exactly how I came to discover Ozark Pudding, but our lives are forever changed because of it! It’s interesting to me how there are so many different ways to make this delectable southern dish and truth be told, they are all good. 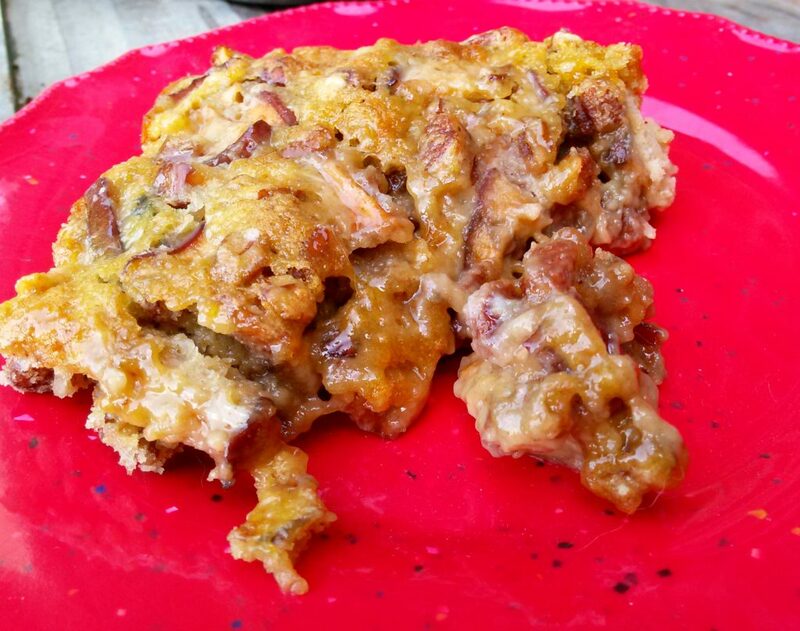 The recipe we settled on for our first time was from Deep South Dish and it was fantastic! The crust rose perfectly to the top with the soft portion underneath being like an apple pecan pie consistency. We also tried the same ingredients in a bread pan and it was a little bit thicker. Then, we decided to start experimenting. We tried different pans, different sweeteners, different methods of slicing the apples, more flour, less flour, you name it. We even talked about trying pear instead of apple but never got around to it. 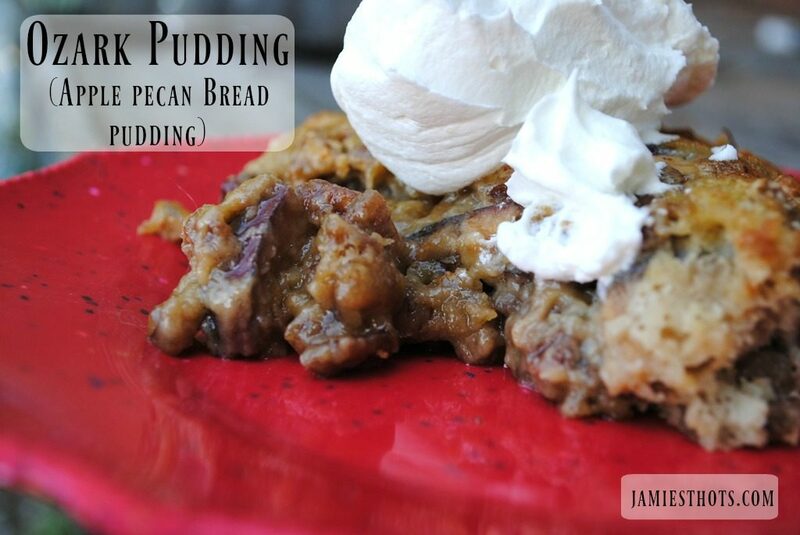 What we came up with is more like a custardy bread pudding and it’s delicious! 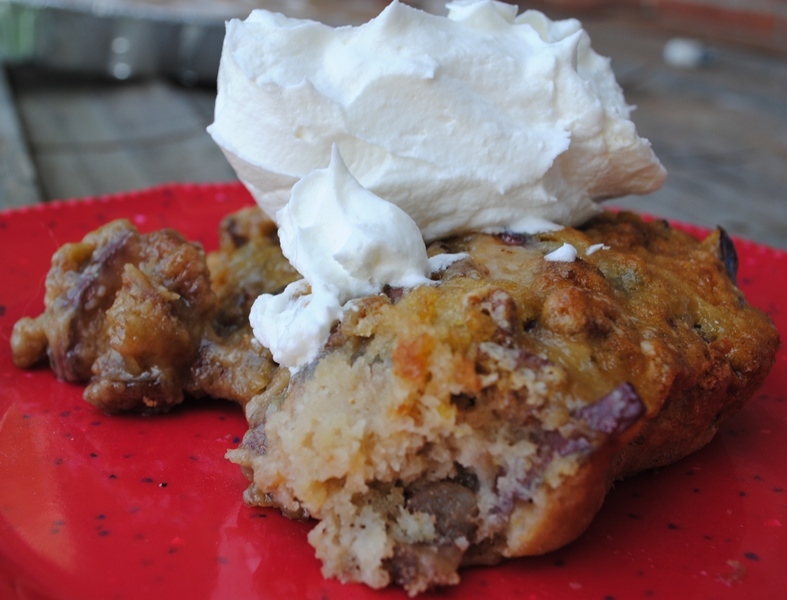 Our version of Ozark Pudding is like a really custard-like bread pudding. I like my apples with the peel. 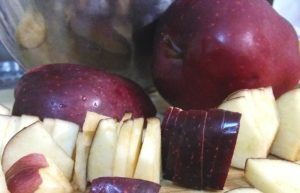 Most other recipes say to peel the apple. In a small bowl, mix the eggs, sugars, and vanilla. 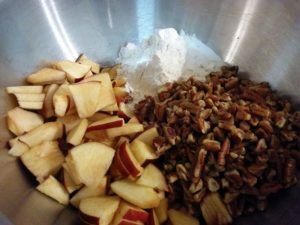 In a medium to large bowl, combine the flour, nuts, sliced apples, salt, and baking powder. Combine the wet ingredients in with the dry ingredients.